Manchester United has bought BSkyB’s one-third stake in MUTV in a multi-million pound deal to take complete control of its in-house TV channel. 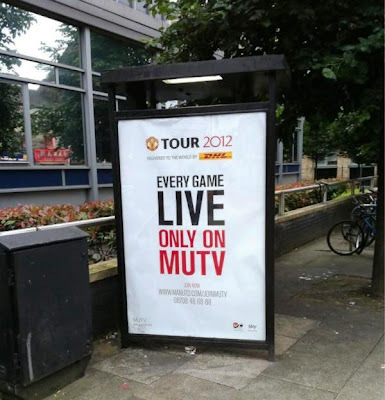 MUTV was set up in 1998 as a three-way joint venture with ITV and BskyB, and United bought ITV’s stake in November 2007 for around £3m. The club has now bought BSkyB’s one-third stake in MUTV, the subscription-only channel viewed by around 100,000 fans in the UK. MUTV is viewed in 57 different countries, employs around 60 staff and operates from offices in central Manchester, a studio at the club’s training ground and from facilities in Old Trafford. The takeover is part of a strategy to boost commercial revenues and grow its global fan base. Valued at more than £5m, the deal gives United 100 per cent control of MUTV, which it said was ‘part of its long-term digital media plans’. Transport Media ran a multi-format outdoor advertising campaign across the North West, encouraging fans to join the Reds on Tour 2012 with access to live coverage of every match and exclusive interviews from the MUTV studios at Old Trafford and Carrington. The campaign consists of advertising on Manchester’s Metrolink network, roadside six sheets, striking taxi adverts and bus advertising which will dominate the city streets across Manchester, transporting the ‘We are United’ message across the cities and into the minds of the consumer. Read more here. On the BskyB deal, The M.E.N. reported that the club has no plans to change the channel’s subscription model or to make a play to secure the broadcast rights for its own games in the future. Instead, the club is eager to demonstrate to US investors its commitment to driving up commercial revenues by widening its worldwide fan base. Manchester United marketed itself as a media company, rather than a sports business, ahead of its partial flotation on the New York Stock Exchange last year. Its shares have climbed back to their $15 flotation price on the back of a series of commercial deals, having fallen to around $12 in recent months. United’s commercial director Richard Arnold said: “The acquisition of Sky’s stake is great news for all of our fans who watch us around the globe, MUTV, its staff and the club. 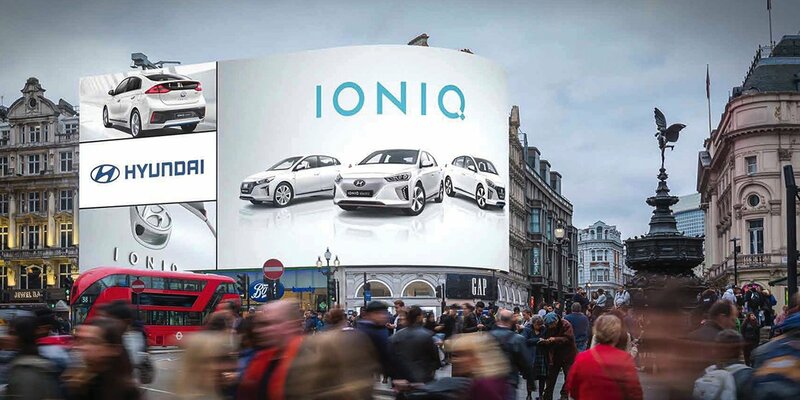 “We look forward to continuing to enhance our media proposition and distribution capabilities in the years to come; and delivering some of the best and most compelling content to our 659m followers. “Sky has been an active and highly-valued partner since the channel’s inception and has helped to build the best and most watched club football channel in the world.